ERP Maintenance Contracts: Is an ERP Maintenance Contract Necessary? With software vendors continually pushing to keep their customers on maintenance and support plans, is an ERP maintenance contract necessary? For some it feels like a never-ending cycle of updates and upgrades that don’t always get installed due to lack of time or IT resources. For others, there’s no sense of urgency to install the updates because the software is working fine from their perspective. Whatever the reason a company chooses not to renew their ERP maintenance contract, the question is: Is an ERP maintenance contract necessary? Lets compare your PC to your ERP software, you have the option to update or upgrade both. How long can you go without upgrading your PC before it becomes outdated and slows you down, or doesn’t support something you are trying to do? A few updates are probably not going to make a big difference, but after too many are missed you risk that your hardware does not play well with your software and app’s; the same is true for ERP software. Not only are your ERP maintenance updates keeping your system optimized for newer technologies, you might also be missing out on features designed to help you be more competitive. And that’s only the beginning because newer software also has features for improved collaboration, mobility, social and more to help you be more productive, efficient and customer-centric. But Our Maintenance Contract Expired. What Happens When ERP Maintenance Contracts Expire? If you let your contract lapse, the software vendor may back charge you for the period of time your maintenance contract lapsed (considered as a penalty to be fair to the customers that stayed current with their maintenance contracts). 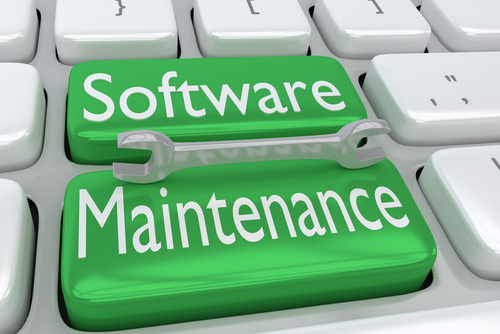 If the software is not performing well, or has a bug that you need fixed, you will have to be on maintenance to receive it. If it’s been a while since you’ve had an ERP maintenance contract, you will also have to ‘catch up’ on all of your updates which can be time consuming. But Our Company has Customizations. How are Customizations Impacted by Maintenance Contracts? Traditionally, upgrades were not possible if your ERP software was customized because of the expense and IT expertise needed to move the customizations forward with the software upgrade. Today that has changed, at least if a business is using Epicor ERP. Epicor ERP was completely redesigned from the ground up with the release of Epicor ERP 9. Part of the strategy behind the redesign of Epicor ERP 9 was to separate the software, customizations, and technology so that each could be updated independently. With that, companies using Epicor ERP can control what they upgrade and when the upgrades occur. Separating the software, customizations, and technology means that a software upgrade won’t override your Epicor ERP customizations so you can take advantage of the latest technologies as soon as they are released. Cloud solutions are maintained by the ERP vendor. With cloud implementations the software vendors schedule updates and upgrades and update all their cloud customers simultaneously. The cost of ‘maintenance’ is included in the monthly subscription fee that is required with cloud implementations. If you have questions about preparing for an upgrade, or Epicor ERP or Epicor SaaS or are in need of support, contact MIS. MIS has been supporting Epicor clients for over 30 years, in fact, we are the oldest standing Epicor VAR in North America, and maybe even the world. MIS supports clients on Platinum for Windows, Epicor Enterprise, and Epicor ERP. The team at MIS is committed to helping you achieve an Exceptional ERP experience – that’s success with MIS!